In the town of Harsil, Mukhba is a small town that is located on the banks of Bhagirtahi River. Tourists have to cross this small village enroute to Gangotri. 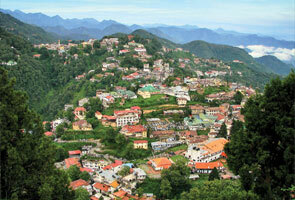 Mukhba is located at an altitudinal height of 2,620 mts above the sea level. Mukhba religiously holds high importance. Actually, it is a place where Idol of Goddess Ganga is brought down at during winters from Gangotri region in the Upper Himalayas as Gangotri River becomes inaccessible during winters because of the snowfall. Each year idol of Goddess Ganga is brought down to a temple in Mukhba during the festival Diwali with complete pomp and show and a royal procession organized by the procession of devotees and the Army band of Garhwal Rifles. 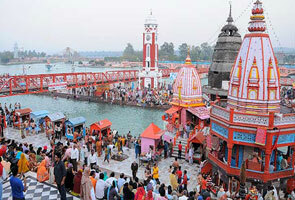 The village of Mukhba has two important temples of Goddess Ganga. One is constructed of concrete and marbles and the old temple is made from Deodar and brass. Most of the devotees visit here for their Char Dham yatra as government has planned to open the Char Dhams shrines only during winters only. In order to arrive at Mukhba one has to travel a trek of 1kms from Dharali which can be further reached enroute to Gangotri. Tourists can stay at Dharali and Harsil as many accommodation facilities are available here. 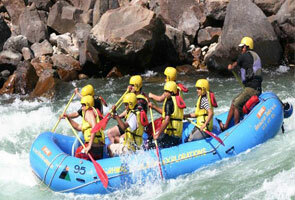 Harsil is located on Uttarkashi and Gangotri road at a distance of 72kms from Uttarakshi. To reach Mukhba one can travel here via Road, Rail and Air. Tourists can arrive at Mukhba via Harsil and Dharali and both are strongly connected by robust and motorable roads with important destinations of Uttarakhand. Harsil is located on NH108, which connects to Gangotri in Uttarakashi district. 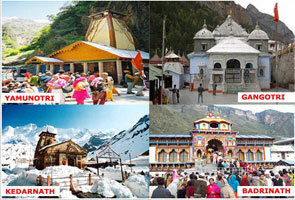 Buses are easily available to Rishikesh Tehri and Uttarkashi district from ISBT Kashmiri gate, Delhi. Buses and taxis are easily accessible to Harsil and Dharali from significant destinations of Uttarakhand as in Dehradun, Tehri, Barkot, Rishikesh and Uttarkashi etc. Closest railway station to Harsil is Rishikesh railway station that is located 205kms before Harsil on NH58. Rishikesh is strongly connected via a robust railway network to all important destinations of India and frequent trains are available to Rishikesh. Taxis and buses are also available outside the railway station that frequently takes tourists to Mukhba. The nearest airport is Jolly Grant Airort that is located at a distance of 232kms in Dehradun. Regular flights are available from Delhi IGI airport to Dehradun. Airport is strongly connected by motorable roads one and taxis are easily available to Harsil, Uttarkashi and Dharali. Mukhba does not have many hotels and resorts in place but few accommodation facilities area avaialable that provide basic amenities and ensure easy and comfortable stay. The hotels are clean and well maintained. The rates are pocket friendly. It is good to get the booking done prior to the arrival here.